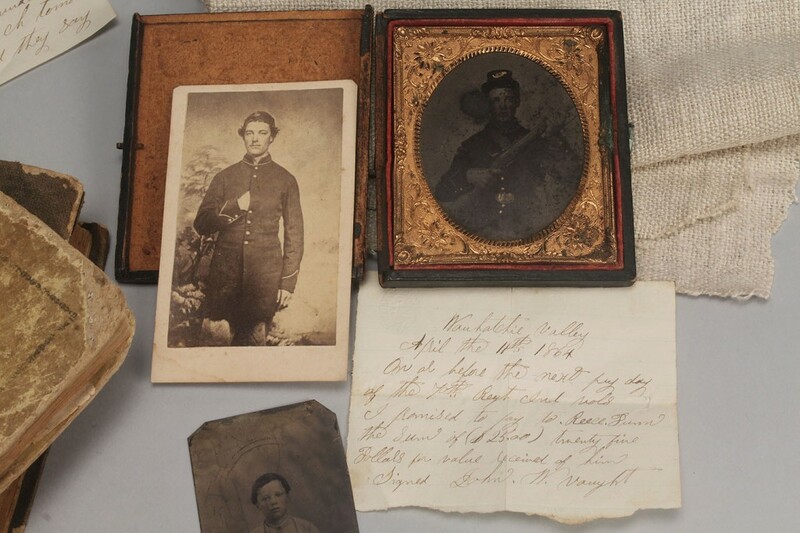 Civil War archive of Private John W. Vaught including a CDV of the Private in uniform, four (4) hand written personal letters by Private Vaught to family members, four (4) related Civil War era letters written to Vaught or associated with him, Vaught's Primer and hymn book, homespun fabric sample, cased tintype of a relative of Vaught and an unframed tintype of child (possibly the same person), and a promisory note dated just before his death. 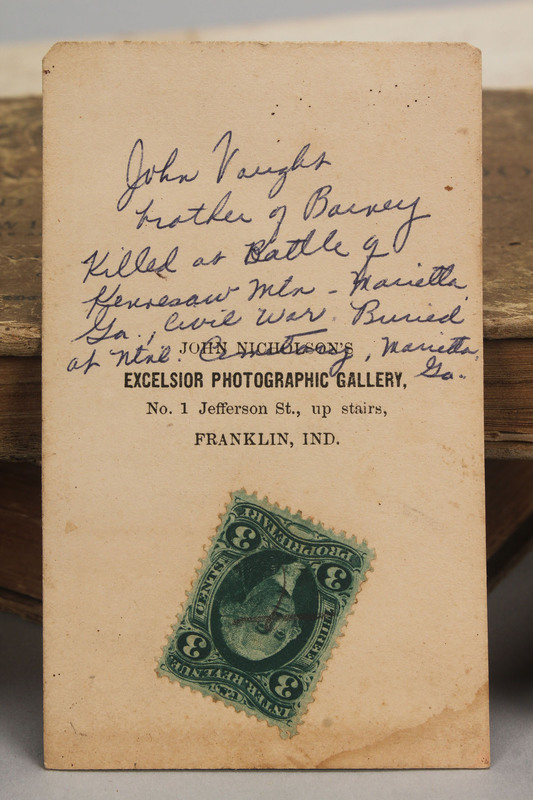 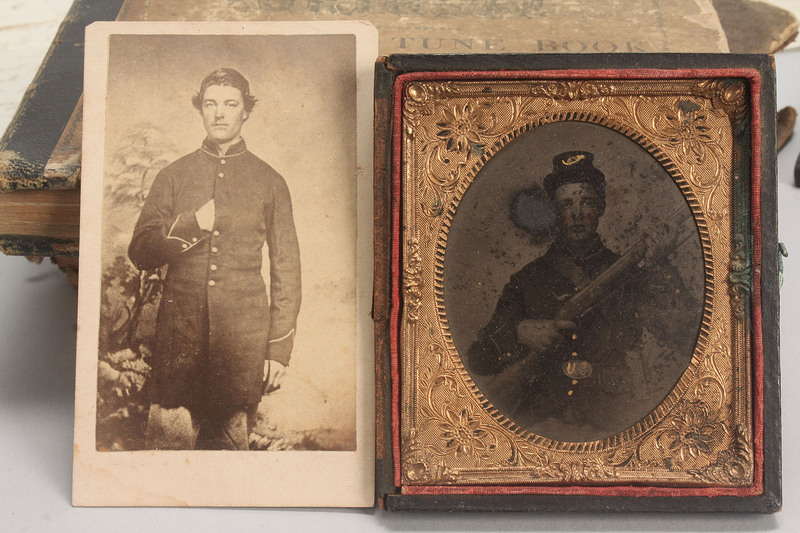 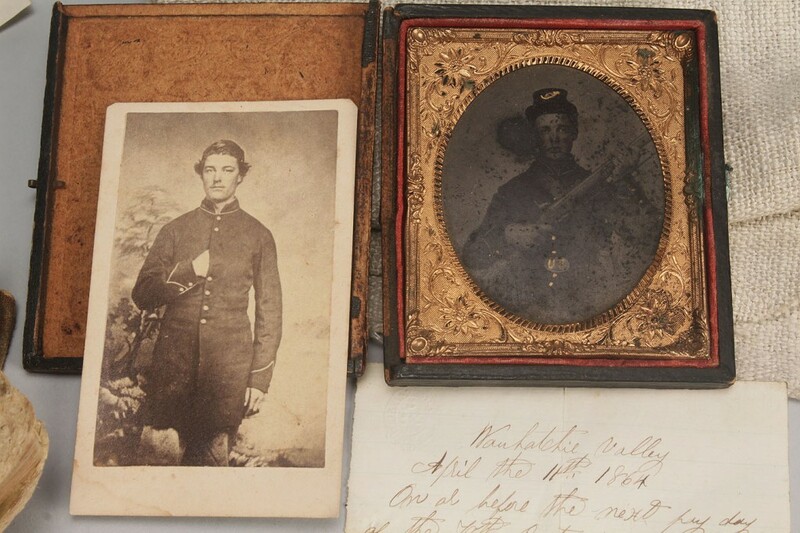 Provenance: Private John W. Vaught fought with the 70th Indiana Volunteer Infantry during the Civil War. 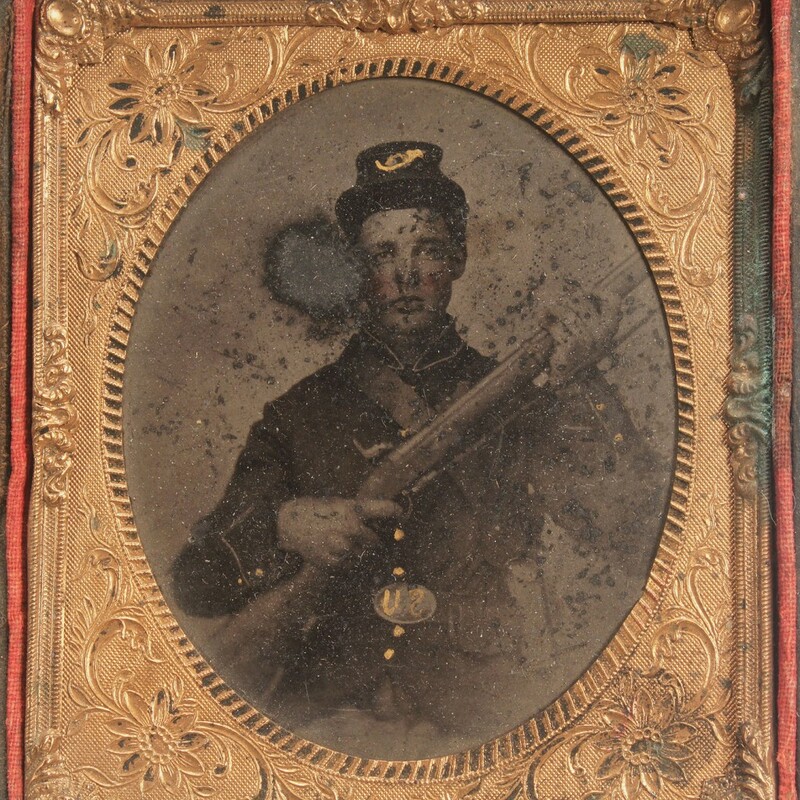 He was killed at The Battle of Kennesaw Mountain, fought on June 27, 1864 and was buried in Marietta, Georgia. 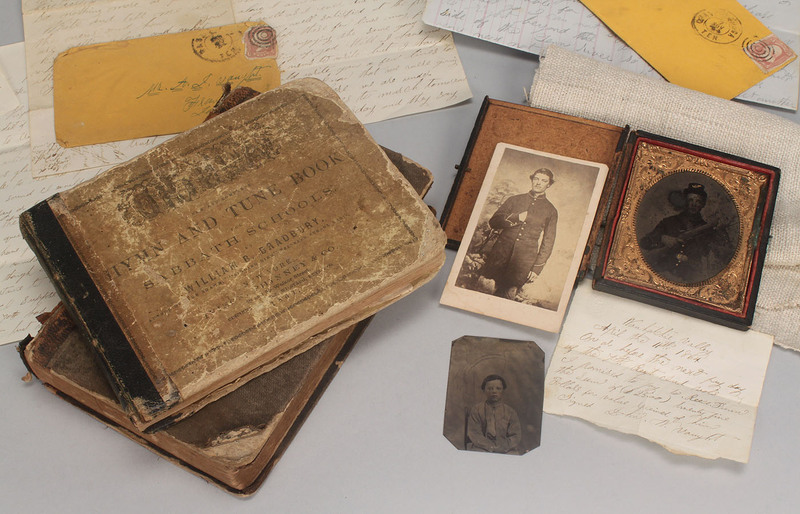 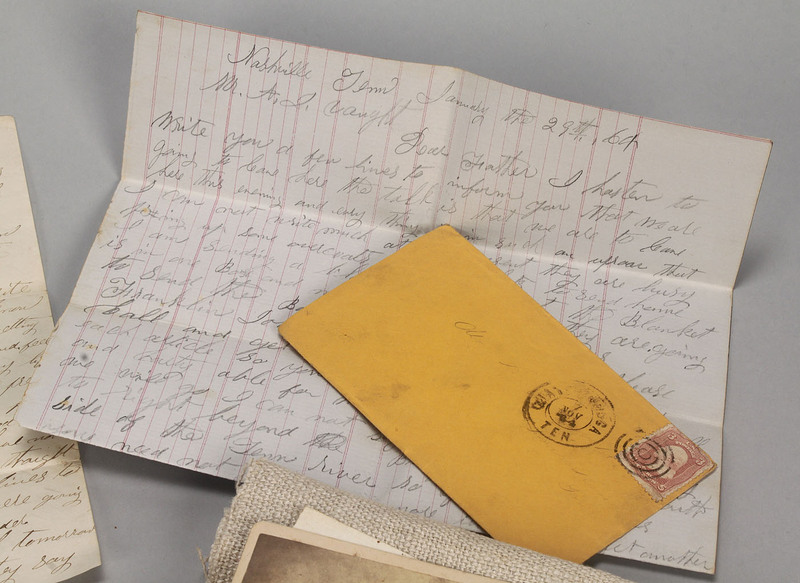 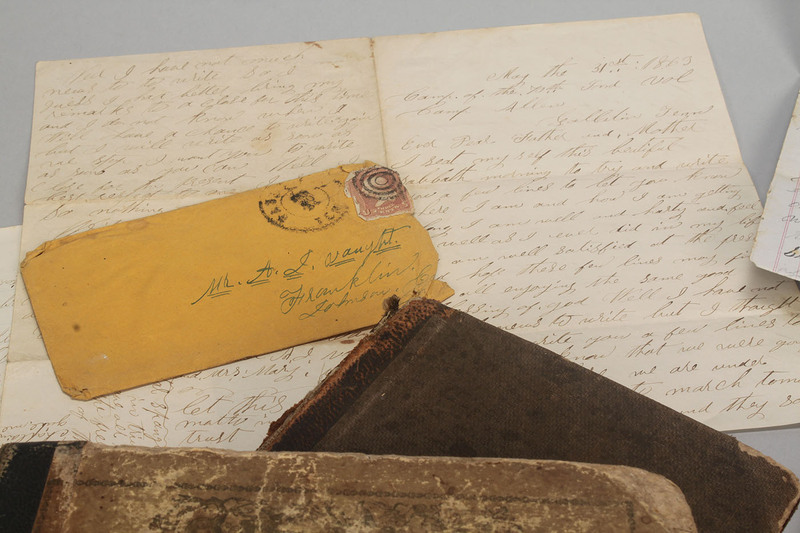 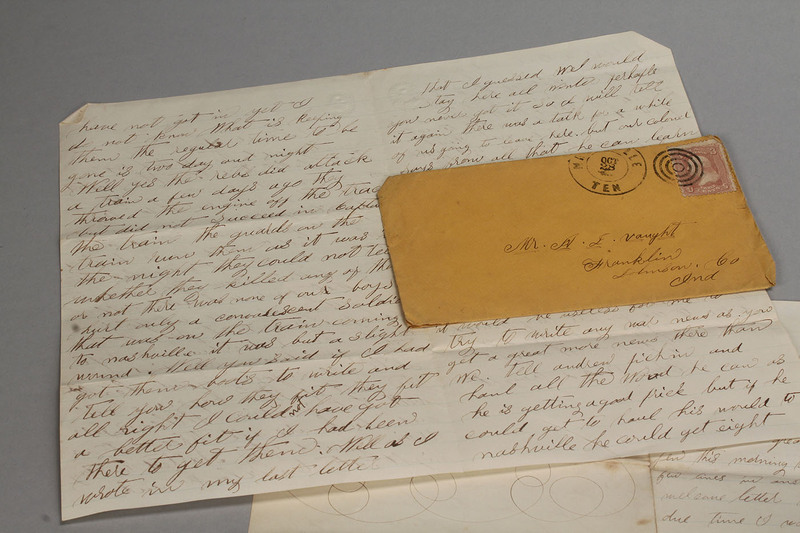 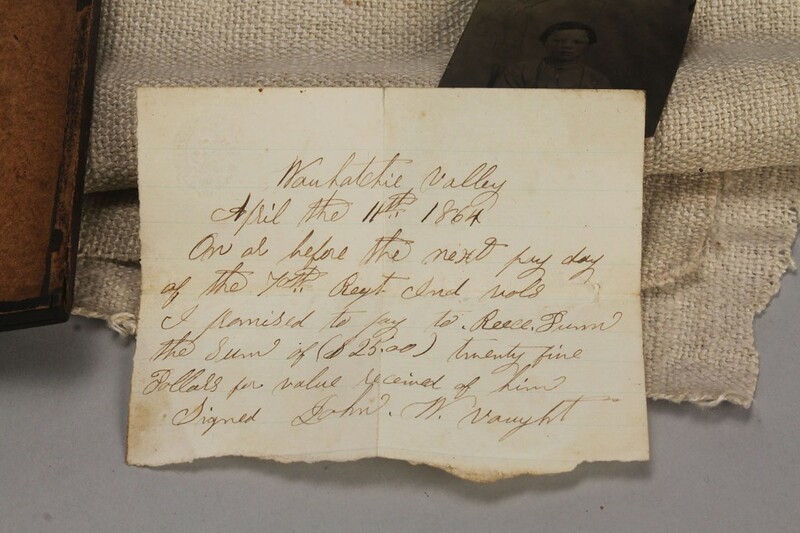 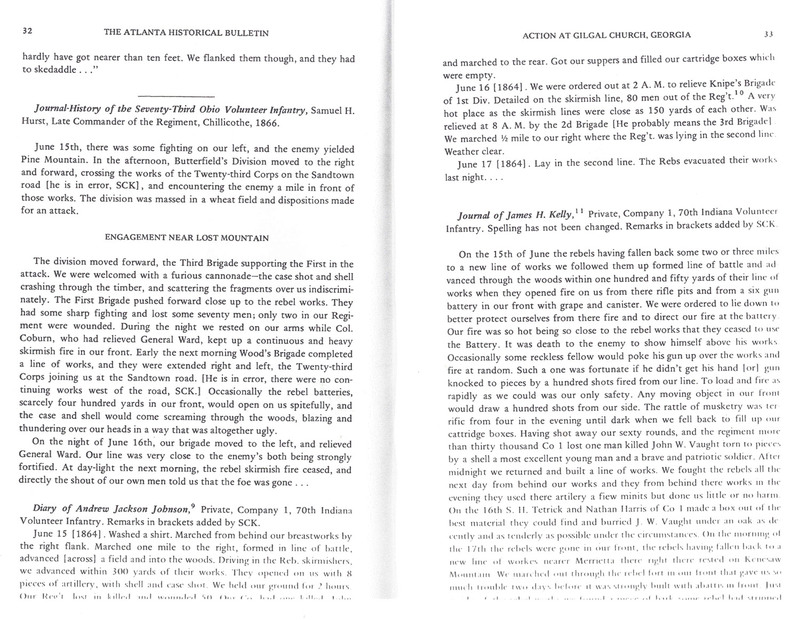 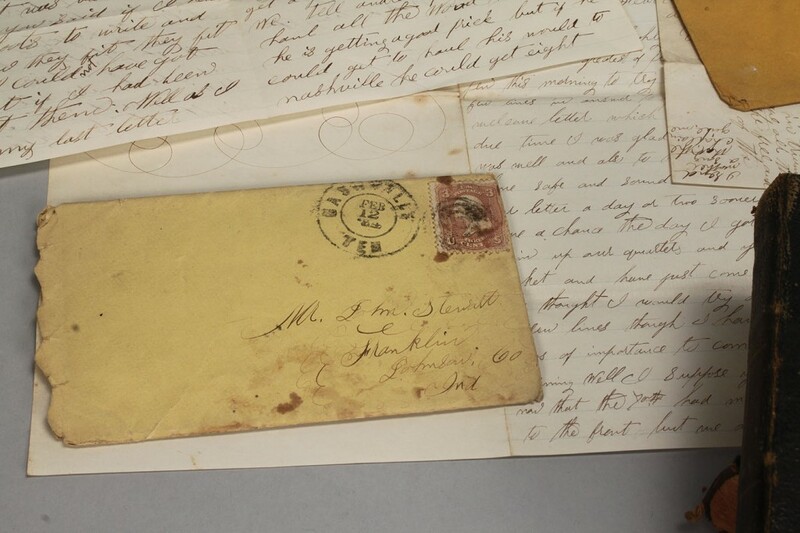 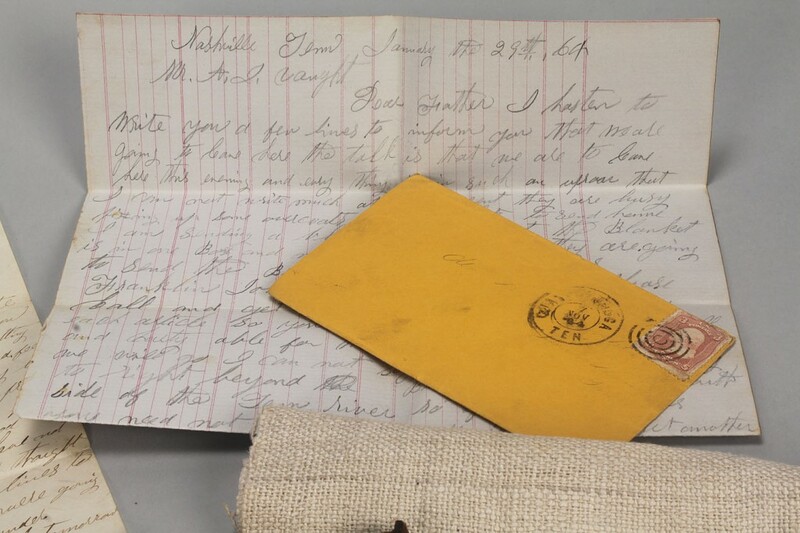 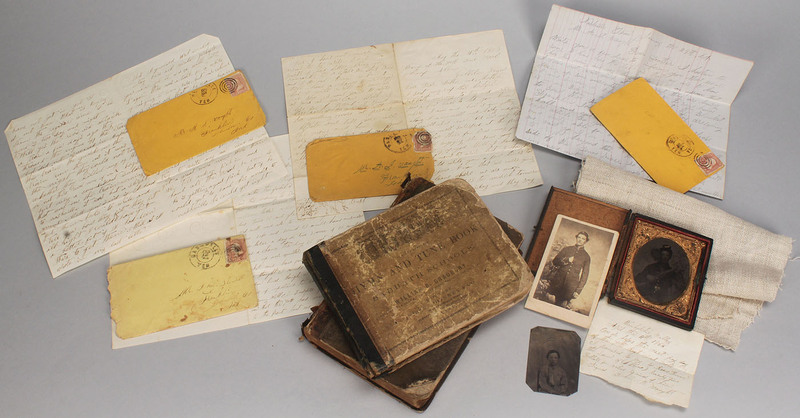 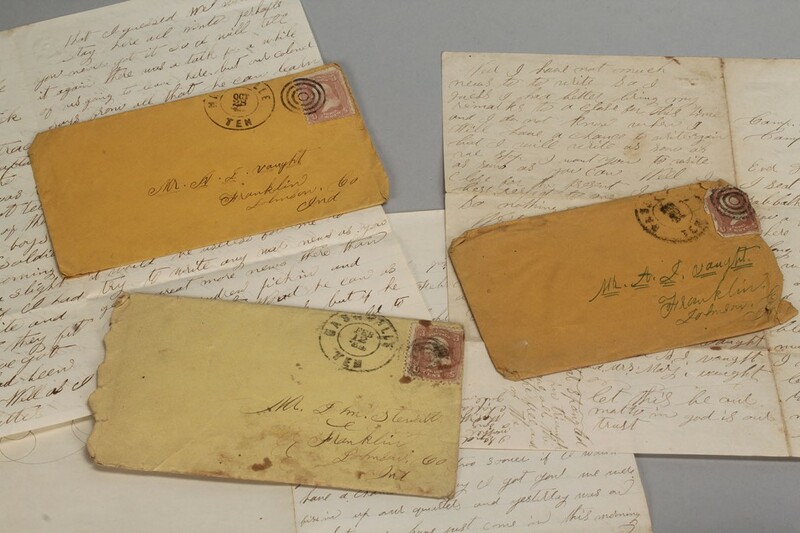 Oral family history states that the books, photographs and promissory note included in this lot were recovered from Private Vaught's personal effects at the scene of his death. 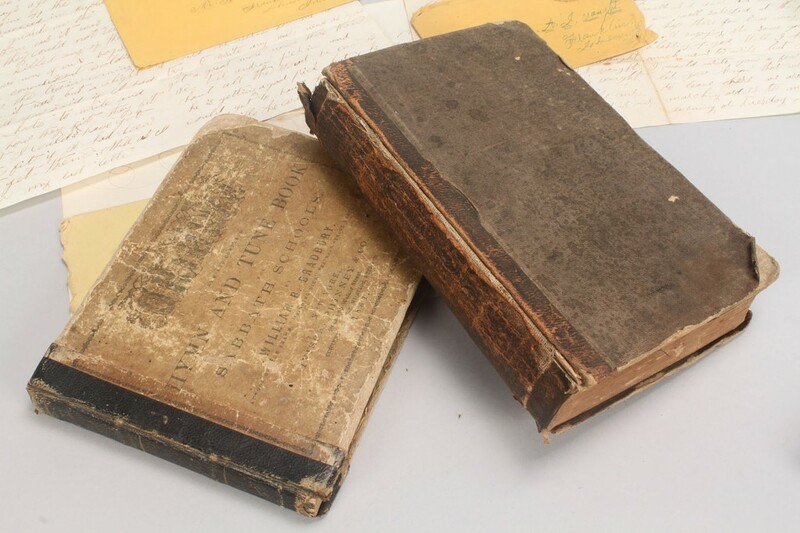 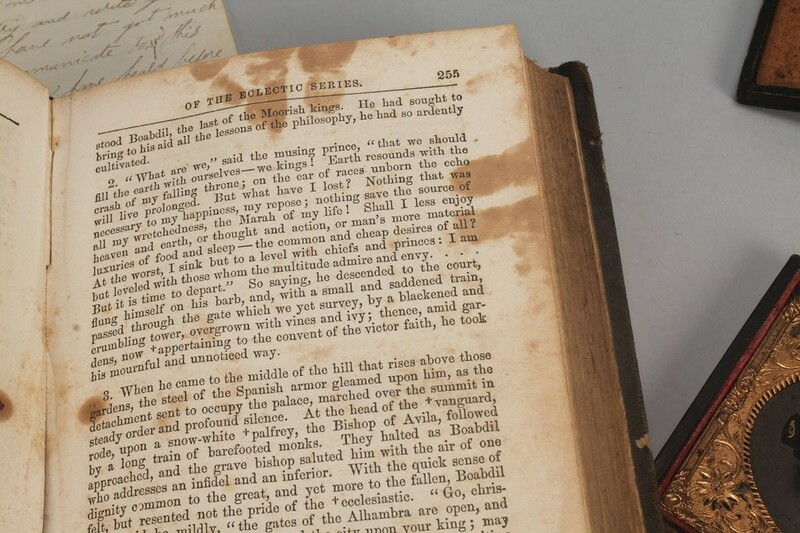 Condition: Various wear to books. 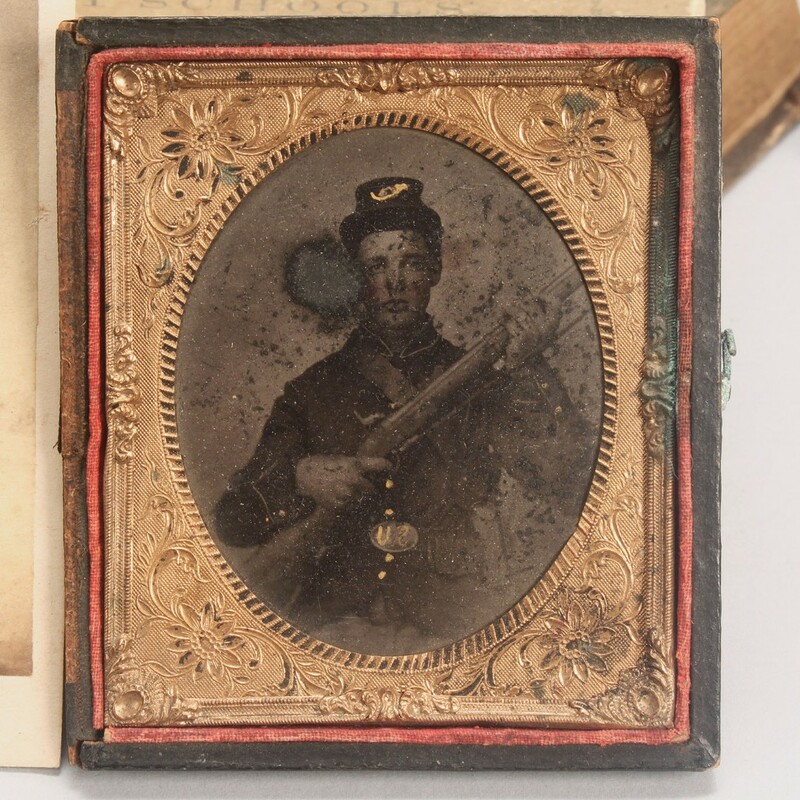 Some water damage to metal of tintype case, case not joined.